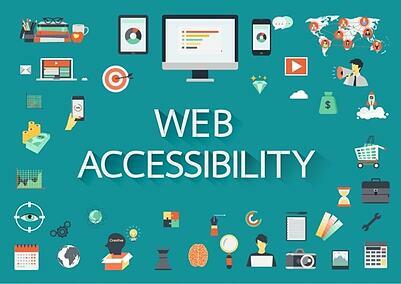 Websites and digital campaigns are all built to be accessible to the masses. But a large population that many fail to consider is the disabled. The latest U.S. Census estimates that nearly 1 in 5 people have a disability, however, new reports estimate that 85% of websites are not fully accessible for people with disabilities. The need to develop accessible websites and online experiences is no longer a nice to have for many brands, and the agencies they work with. Over the last few years the frequency of class action lawsuits against major brands filed by disability rights advocacy groups in on the rise. In 2016 alone, over 240 major brands were hit with lawsuits for ADA compliance violations. With new ADA and web accessibility guidelines expected to be released in 2018, marketers, brands, and agencies should start to think now about what steps they will need to take to be prepared to build and launch websites and online experiences that are ADA compliant. Web accessibility hits squarely at the heart of what we do at Wyng – enabling our customers with the technology and tools to create experiences that empower all consumers, especially those with disabilities, to share, connect, and engage across all digital channels. The opportunity to nurture engagement online with all individuals is greater than ever thanks to the technology and tools now available. When we heard from our customers that new guidelines were coming out in 2018, we made it our mission to update our Platform to meet the current guidelines, and built out a team to maintain and update our capabilities as new guidelines are released. One thing we realized was that we needed to make our form components and photo gallery and carousel features more accessible to all consumers. Web accessibility can seem complex and overwhelming if you don't know where to start. A great starting point is to ensure forms that appear on your websites or in online promotions and experiences are Level AA Compliant. As we’ve mentioned before, a form is often the backbone of a campaign, capturing valuable data for integration into a CRM or ESP. However, to collect that data, consumers will need to read and respond to prompts to enter their data. And forms that aren’t optimized for web accessibility will either prevent or make it extremely difficult for consumers with disabilities to participate. “Skip navigation” functionality is provided to allow keyboard users to quickly access content. Contrast ratio between text and background colors on forms is between 4.5 to 1. Use the Wyng Contrast Checker Tool here to assess your campaign's color contrast ratios. To view a video demo to see how forms can easily be added in the Drag & Drop Builder, click here. Web accessibility and ADA guidelines don’t have to be a barrier to creativity and eye-catching web design. As further guidelines are released, successful marketers will need to blend creativity and strategy with online experiences and builds that are inclusive of all consumers. The guidelines are in place to protect consumers, a goal that all marketers and communicators can agree is important. 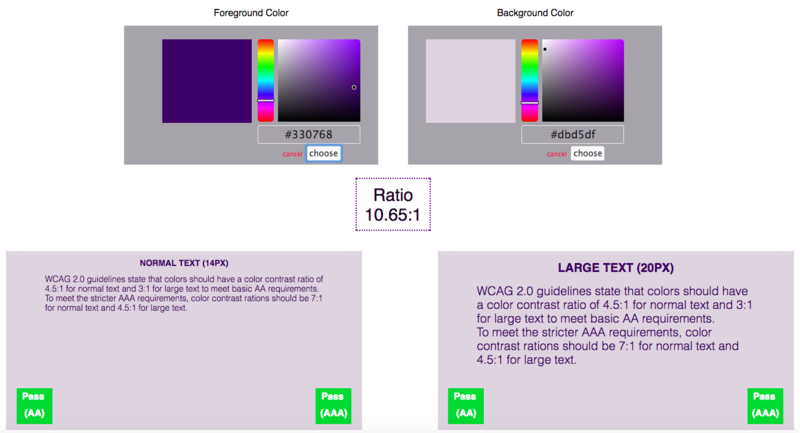 To help brands and agencies more easily comply and create online content that meets WCAG 2.0 guidelines, we developed our Contrast Ratio Checker to instantly verify whether your web content colors meet AA and/or AAA requirements for color contrast ratios. You can access and use the Wyng Contrast Checker Tool here. Converting your digital marketing to be more accessible won’t happen overnight, so if you’d like to speak with us to leverage any of our ADA Compliance capabilities, contact us here.